We pride ourselves in providing knowledge and expertise to your organisation to ensure that whatever business sector you are in, the appropriate solution is found for you. The team’s reputation has been built on ‘LISTENING’ to what you tell us and then giving best advice, and providing quality implementations and support. With over 25 years of building our knowledge and expertise of business applications and successfully providing solutions to business sectors such as banking, insurance, general commercial and small & medium enterprises, as well as the public sector. The team here at SERVSOFT is well placed to help your organisation choose and implement the right business solution..
Our approach is one of long term partnership with a proven and demonstrable understanding of your business. Our reputation has been built through our collaborative and consultative approach with our clients. ‘It’s all about you’ and we are passionate about what we do and that is why we build long term relationships with our clients, working in partnership, collaborating with key stake holders to determine and provide the right solutions for your organisation. Our approach is one of the key elements why clients work with us, we are easy to work with, we give best advice, and our clients tell us we are like a ‘breath of fresh air’ when it comes to software suppliers. 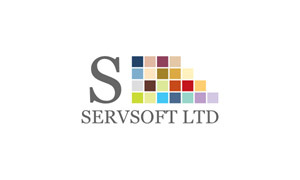 See for yourself, contact us and experience the solutions journey, together with SERVSOFT.